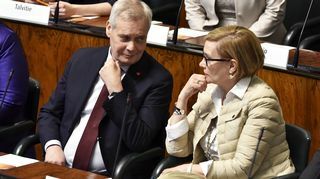 The SDP cabinet reshuffle announced Friday has transformed the makeup of Finland’s cabinet, tipping the balance in favour of women. The government’s ministerial lineup now features ten women and nine men. Finland was previously led by a majority female government during Matti Vanhanen’s second term and by his successor Mari Kiviniemi. 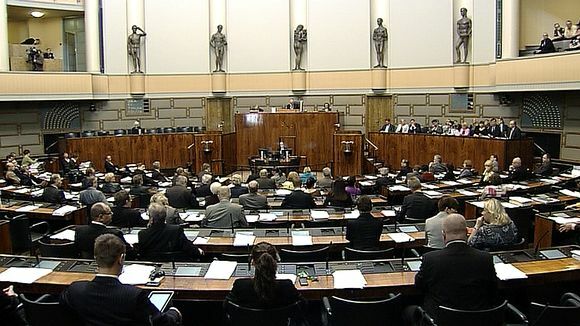 The decision by SDP chair Jutta Urpilainen to swap ministerial seats has brought Finland the third majority female government in the country’s history. Female government ministers now outnumber their male counterparts – although only narrowly by one seat. The change in the balance came when former Education Minister Jukka Gustaffson handed over his portfolio to former Housing and Communications Minister Krista Kiuru. Kiuru was replaced as minister by SDP lawmaker Pia Viitanen. Meanwhile after gamely battling through controversy over government’s planned social and health care sector reforms, former Social and Health Services Minister Maria Guzenina-Richardson steps aside to make way for MP Susanna Huovinen. Matti Vanhanen’s second administration, which held office from 2007 to 2010, featured a female majority (11 women, 8 men). His successor Mari Kiviniemi, who took over when Vanhanen stepped down to have a leg operation, also presided over a government with a preponderance of women (10 women, 9 men).